Grab those mouse ears and pack up your duck bills….we’re heading to Disneyworld gang!!! Hot off the presses from the G.I. Joe Club, next year’s convention has been revealed!! The 2011 International G.I. Joe Collectors’ Convention “G.I. Joe Con” will be held in Orlando, Florida, at the Walt Disney World Dolphin Resort, March 31-April 3! This is an outstanding property at an outstanding rate! You will not want to miss this one. 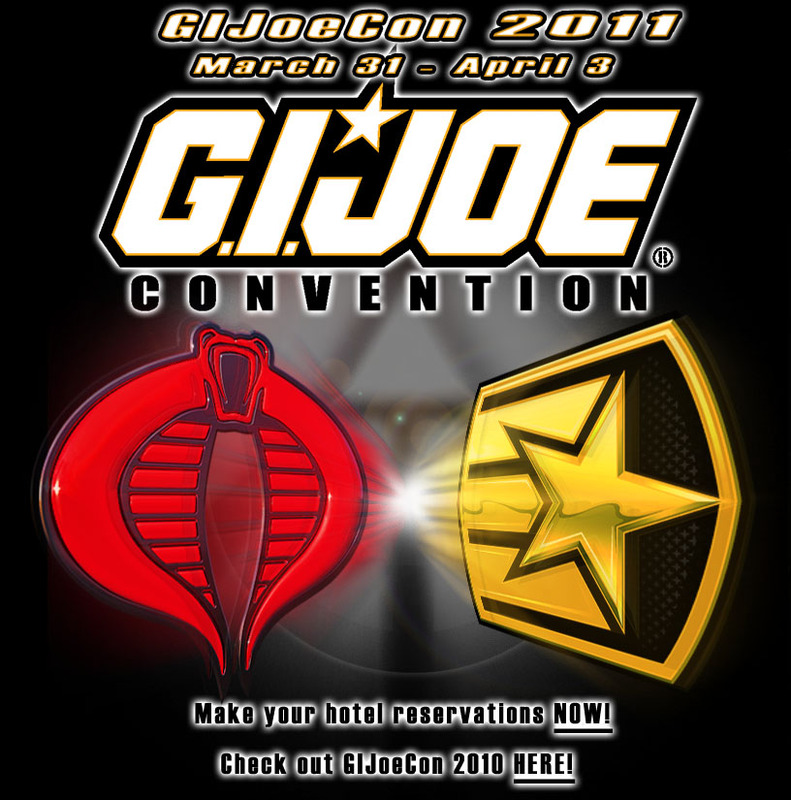 Orlando will be perfect this time of year, so bring the whole family for this fun-filled weekend!Make your hotel reservations now at GIJoeCon.com. Convention registration will be available this fall. Watch for our new online registration system! ‘Special Missions’ set to return! UPDATED and clarified. UPDATE: Mark added some clarification to this rumor on his Facebook page. Apparently he mentioned at the Canadian Joe-Con this past weekend that he had submitted a PROPOSAL for a new Special Mission series. However, IDW has not announced any intention to currently deploy another Joe title in your monthly pull box. So, before you run to your local comic shop and demand Special Missions, be aware that right now it’s just a proposal, nothing more. That’s right gang, hot off the presses from the Canadian JoeCon, our pals to the north at JoeCanuck.com have the comic world starting to buzz!! Mark Bellomo (Ultimate Guide to G.I. Joe) revealed at a Q & A panel that he is tapped to write ‘Special Missions’ for IDW. Click HERE to read the small amount of details (so far) and to discuss!!! Now, excuse me while I go giggle in a corner at the coolness of this news! !